All major banks have launched ‘Missed Call Banking’ facility which is a simple and quick way to to get balance (or) mini-statement of account through your mobile phone. Each bank has its own dedicated Toll-free numbers. Bank customers can just give a missed call to the toll-free number and get their Bank Account Balance as SMS (text message). This facility is free of cost. So, it is prudent to limit the usage of ATM to financial transactions only. 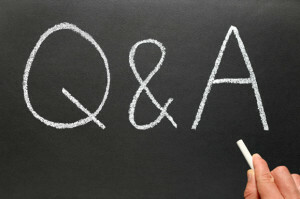 Inquiries regarding Account balances and latest transaction details can be made through you mobile-phone. The facility’s biggest advantage is that you can get your bank details on the phone and don’t need to use Net banking or an automated teller machine (ATM) for these. All major Banks including SBI, HDFC Bank, Axis Bank, ICICI Bank, Punjab National Bank etc., offer this facility. 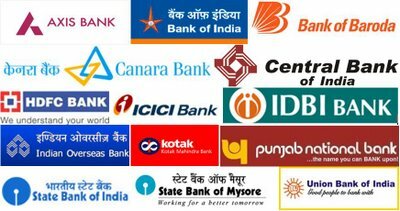 Below are the toll-free numbers of the top banks in India. To check bank account balance, you can call your respective Bank’s toll-free number. After few rings your call gets disconnected automatically. Your bank will then SMS you the account balance details in few seconds. Besides balance enquiry facility, some banks have introduced dedicated Toll-free numbers to get mini-statement or latest bank transactions details (last 3 to 5 transactions). If your number is already registered with your bank, you can directly call the above listed number(s) and start using the missed call alert facility. Some banks limit the no of times that you can avail this facility in a day. For example – Bank of Baroda customers can avail this facility maximum “5 times in a day”. I have been availing ICICI Bank’s (my banker) missed call banking facility, as it is the quickest and the safest way to get bank balance or transaction details. There is no need to access online banking account or no need to use an ATM. Do you use missed call alert facility? Share your comments. 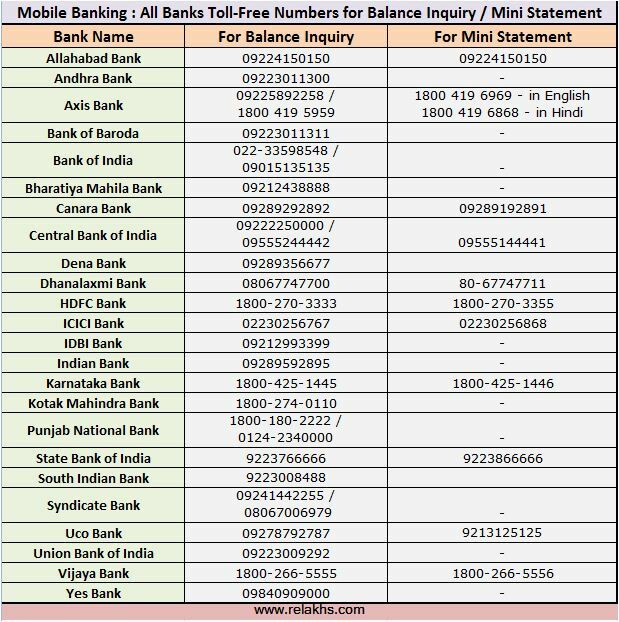 If you know ‘missed call’ enquiry contact numbers of any other bank(s) that is not listed in the image, kindly share the contact no(s) through ‘reply’ form . Are Bank Fixed Deposits really safe? What happens to Bank FDs if my bank goes bankrupt? Abhyudaya bank mini statement no.? For this important news for all bank customer. It is really useful to each other. Dear Navin..kindly do not share confidential details like your bank a/c number in public forums. Suggest you to contact your banker’s customer care. Can you provide me Yes Bank Patiala Toll Free Number? My a/c per mobile number register nahi ki to add karwana cahata hu ye number +917031910542 . This blog post is for information purposes only. Kindly do not share your bank account & mobile no details here/in any public forums. Contact your respective banker(s) to activate mobile banking service. Plz do not give your account details or mobile numbers on line. Fraudsters may use this against you to take away your money thru phishing, skimming of your mobile numbers etc. Plz excercise caution. ? Agree with you dear Ram. Kindly do not share your contact details (mobile number, address etc) and bank account details when commenting. give miss call to 9289220675 from your register mobile number. plz chek my acount kyoki usme balence kat raha he. 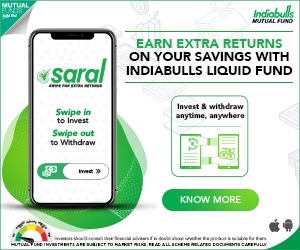 Dear Saurabh ..kindly contact your banker. SBI miss call annual charge & its use limit …………. Sir mera kcc a/c no0.33881069850 hai mera mob.no.8236957498 hai plz register kar dijiye. Sar mera sevig a/c no. central bank of india account no.–2215192728.hai please mera mobile no. registration kr digiye. Kindly contact your banker to get this done..
Idbi and karvys no seems to be same?????? account no.–443910110008340.hai please mera mobile no. registration kr digiye. Dear Kamal..Kindly contact SBBJ customer care at this no 18001806005. I am facing problem while i was checking my account balance of union bank of india through the mobile number but did not get any msg from banks. bal enquiry no is not working. how can I register my mobile number in my central bank of india account. Which is INDUSIND BANK balance enquiry no. How to block ATM card’s through SMS for all banks if suddenly lost it. Dear Vijay..you may kindly check with your banker(s). Which is Sbh balance enquiry no. Dear Santhosh..as of now i do not have details. Contact their customer care number. Dear Amit..i have provided the number in the above list. what is the missed call banking toll free number of Indian overseas bank & state bank of travancore? Dear manikandan …I couldn’t find them..use their customer care numbers instead.. I could not find the ‘Missed call banking’ number for SBBJ. This is their general customer care Toll Free no 18001806005.
your collection is very is nice and useful things. Every bankers are display this their bank notice board, if we visit their able to seen. Dear muthukrishnan..Thank you for your appreciation. Keep visiting! What is the number ofAbhyudaya co-operative bank…???????? ?